Founder/President of CSFI (Cyber Security Forum Initiative) and its divisions CSFI-CWD (Cyber Warfare Division) and CSFI-LPD (Law and Policy Division). Mr. Paul de Souza is the co-author of the book Strategic Intelligence Management (National Cyber Defense Strategy), he serves as an advisor for the Military Cyber Professionals Association (MCPA), and he is a recipient of the Order of Thor Medal. Paul serves as a Centre of Excellence in Terrorism, Resilience, and Intelligence & Organized Crime Research (CENTRIC) Visiting Researcher at Sheffield Hallam University in the UK, Guest Lecturer at The Swedish Defence University (SEDU) Försvarshögskolanand, Institute of World Politics (IWP) Board of Advisors for The Cyber Intelligence Initiative (CII) in Washington, DC, and served as a Visiting Research Fellow at the Institute for National Security Studies (INSS) Israel – Cyber Security and Military & Strategic Affairs Programs, completed the Executive Certificate Program in Counter-Terrorism Studies from IDC Herzliya, Israel. Mr. de Souza has over 18 years of cyber security experience and has worked as the Chief Security Engineer for AT&T, where he designed and approved secure networks for MSS (Managed Security Services). 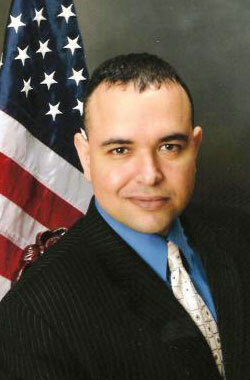 Mr. de Souza also worked for Computer Sciences Corporation (CSC) and US Robotics as a security engineer. He was the winner and recipient of the International Cyber Security & Intelligence Conference (ICSIC) 2017 Award from Ontario, Canada.